Championship Tournament schedule is ready! MOHA has posted the official schedule here: List of Divisions . Our first three games are posted at this link and ​as of today Mar 13 are scheduled to take place at River Oaks Arena. Game 1 is shown to be Sunday Mar 22 at 8 PM on Rink A. As this is a tournament games can start 15 minutes early at the Referees discretion, please be dressed and ready to play by 745 pm at the latest. They will not be posting the games in the usual calendar we have used all year. Please consult this new schedule for any last minute unannounced changes by MOHA. 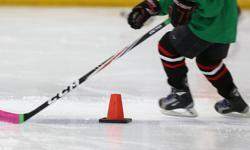 Practice ice is still ON for this weekend... consult the regular Team Calendar for last minute info. As I write this the schedule shows March 15 at 9 pm Maplegrove. See you at the rink! Have a nice March break... Coach Ed and Coach Roger. Dusters regular season winding down. 3 games to go. No games during March break. We do have ice for scrimmage during March break for those that are not going away as per the schedule. Any parent volunteers that can supervise on ice March 15? Please message Roger or Edward. First game of Championship Tournament takes place on the last Sunday of March break... Mar 22. Puck drop will be sometime between 430 and 9 pm and is still to be announced by MOHA. If anyone is aware of Championship Tournament games they are going to miss please advise Roger and Edward. Please see team calendar for dates. Dusters London bound! How to forecheck! Dusters London game schedule was emailed to parents earlier this week. First game mid afternoon Friday followed by an evening game. Dusters practiced face offs and forechecking at practice this week. Here is a recap of how it works: 1-2-2 forecheck video . Forecheck of the week video. Forecheck of the week video. Could also be called "Goalies should never trust theri own team mates". This is why we forecheck. You never know what can happen next.